INNISFIL, Ontario — The strong finishes keep coming for Rick Spencer-Walt as he scored a runner-up finish on Sunday at Sunset Speedway. 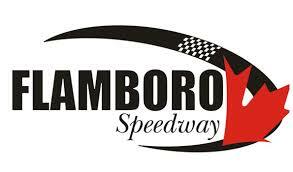 The Spencer-Walt Motorsports team elected to compete at Sunset Speedway on Saturday night, though was forced to start behind the drivers that had ran the full season due to it being championship night. As a result, Spencer-Walt only finished fifth and eighth in his qualifying heats. Starting 14th for the 60-lap feature, he would make up two spots before the first caution flew at Lap 17 for a spin in turn two. Restarting in 12th, he’d continue to move forward, battling for 10th with Taylor Holdaway for 10th as of Lap 21. Spencer-Walt got the spot initially with 36 laps to go, but Danny Benedict would get alongside him a lap later as he began his charge through the field. Danny Benedict would then get by Maltese for ninth, bringing Spencer-Walt through with him. Now running 10th, he’d remain there until the caution flew on Lap 45 for a car going for a spin. Restarting 10th with 15 laps to go, he’d continue to move forward, battling with Ernie Fumerton for eighth with 10 laps to go, getting the spot. It’d appear as though he’d finish, however the caution would fly on the white flag lap for a car spinning in turn two. Spencer-Walt made the most of the green-white-checkered finish, crossing the finish line with a sixth-place finish. The team would discover post-race that the motor was hurt, pulling the all-nighter to change engines before Sunday’s race. Back at Sunset Speedway on Sunday for the fifth round of the Great Lakes Concrete Series, the day got of to a great start with Spencer-Walt placing second in his qualifying heat. As a result, he started fourth for the 75-lap feature, making his way up to second by the first caution at Lap 4. Restarting alongside Jason Parker, he initially slipped back behind him into the second spot. However, he would get alongside him for the lead at Lap 7, clearing him for the top spot four laps later. From there on, the race would take a caution-free approach with Spencer-Walt pacing the field, holding onto the lead despite being closely challenged from behind. Everything came to a head at Lap 45, with Danny Benedict getting by him for the lead. Gord Shepherd was next in line, and poised to take over the second spot. Spencer-Walt and Shepherd would run side-by-side throughout the final 30 laps all the way until the checkered flag flew, with Spencer-Walt edging him by a bumper for the spot. The runner-up just adds to the numbers as Spencer-Walt has picked up eight wins and 19 top-fives in his last 20 races at Sauble Speedway and Sunset Speedway, combined. The second-place finish also allows him to pad his points lead in the Great Lakes Concrete Series heading into the final event, which will take place on Sunday, September 23 at Sunset Speedway. The qualifying heats, though, will take place on Saturday.